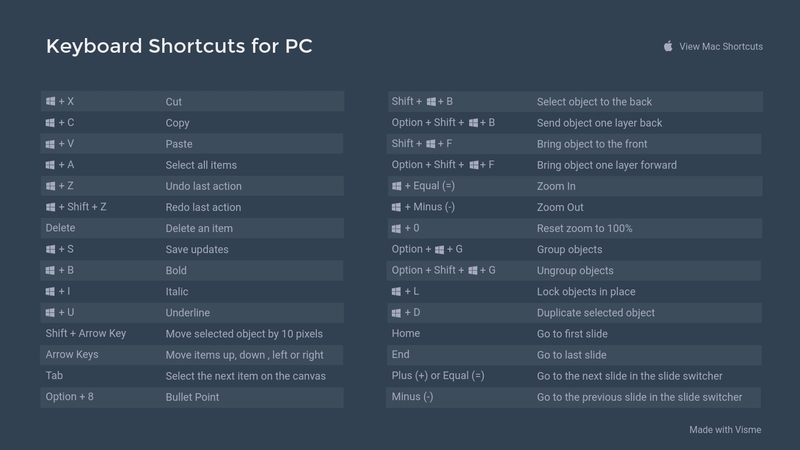 If you want to use a keyboard shortcut while working on your project, hold down one or more modifier keys while pressing the last key of the shortcut. Here’s an example: Let’s say you would like to copy an object or a text box using a Mac keyboard, you would hold down Command, press C and then release both keys. 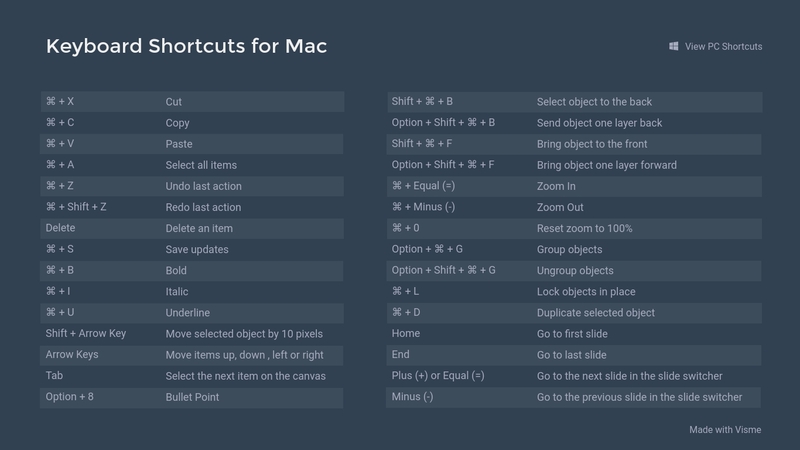 Below, you can see that we have shortcuts for both Mac and PC.